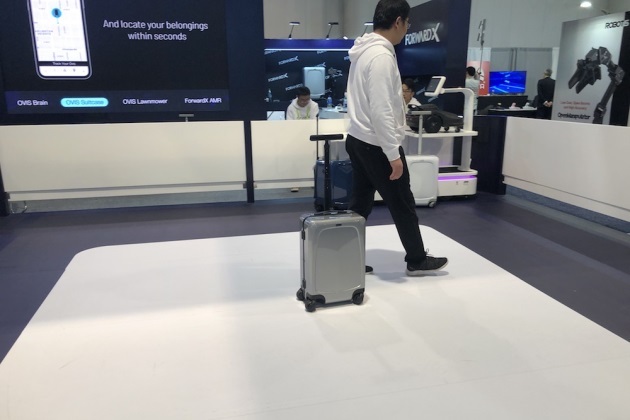 Ovis ForwardX is a suitcase that walks beside you. What do you get when 180,000 verified geeks and 4,500 newfangled gadgets descend upon a few long blocks in Las Vegas? A lot of enhanced plastic, paper, wires and a possibly scary vision of the future at what is now fondly called CES. 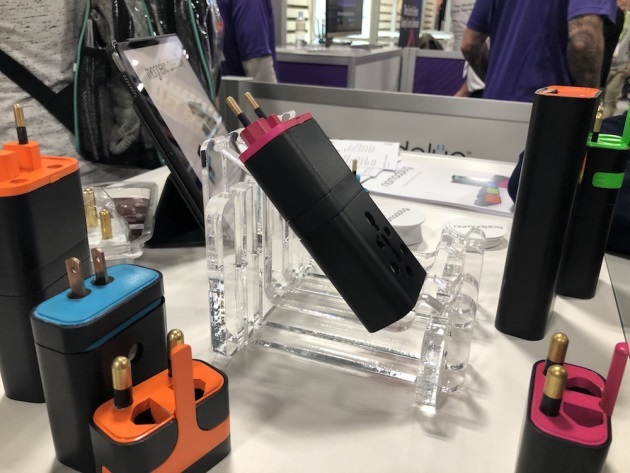 The Consumer Electronics Show that has been happening yearly since 1967 has come a long way from the portable Motorola televisions and next-gen eight-tracks that were once the siren song of a budding battalion of obsessed electronics fans. Today, it is more like an ocean of FOMO enthusiasts looking at the latest in robotic capabilities, artificial intelligence and virtual reality applications, driverless vehicles, sleep tech, voice tech, sports tech … It is a formidable list of very sophisticated 3-D solutions, all seeking a problem to solve. 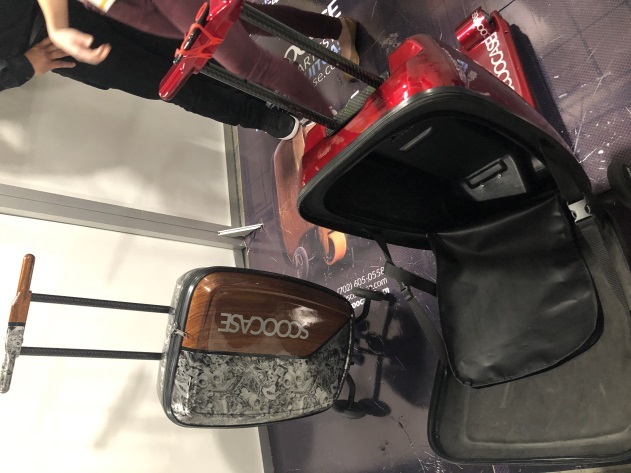 At CES2019 there were machines that baked a perfect bread and others that folded clothes, others that measure your day, shirts that communicate with other shirts, shoes that tell you where you have been, bras that regularly take measurements, water bottles that play music and other bottles that make coffee on the go. Within the ocean of stuff, most of which will never see the inside of an Amazon order, a few gems showed through that could potentially add some spring in the step for travelers. Here is a curated vision of what CES had in mind this year for those on the road for business and pleasure. The Ovis ForwardX is part dog, part travel bag. It’s an electric case for moving around airports without having to drag your luggage along. That’s because this bag has eyes that can see you and see where it is going to keep rolling along with you without rolling into people and poles. The principles inside this truly smart piece of luggage is technology that goes into self-driving vehicles. The 10-pound suitcase is TSA-approved and meant for carry-on purposes. It expects to sell for $800 but may still be available at the 40 percent discount given to crowdfunding preorders. Want to ride around on your carry-on? Scoocase is for you. For those who want to turn their luggage into a skateboard, Scoocase has the solution. This battery-powered item rides like a Razor at a 15 mph clip with an aluminum suitcase built on the front to allow a balanced dash to the gate. A spot on the handle holds the smartphone and an Scoocase app helps with navigation. Great for hitting the ground running in the next destination. Rates run around $239. 2. Sinus relief in an instant. Taking a plane can wreak havoc on sinuses sensitive to changing air pressures and dry environments. ClearUP may be the answer. The palm-sized object is a holistic, over-the-counter, nonpharma answer that uses gentle microcurrents that relieve nerve tangles along acupressure points as the item makes its way around each eye and around the nasal passages. Each treatment takes around five minutes before relief ensures. The device costs around $200. In an increasingly polluted world and on increasingly more crowded flights, safe breathing can be a luxury. 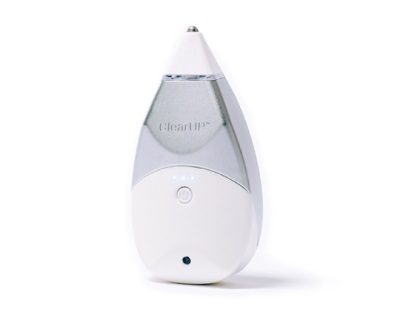 AirTamer is worn like a necklace and emits a constant stream of healthy negative ions to drive out pollutants, bacteria and pollen from personal breathing space and also improve athletic performance for those who jog the city streets. The item fits in the palm of the hand and creates a three-foot sphere of air around the head. It runs on two small lithium batteries and go for a full week on one charge. It costs $79. If you misplace things more often than you'd like, Cube Tracker has the answer. 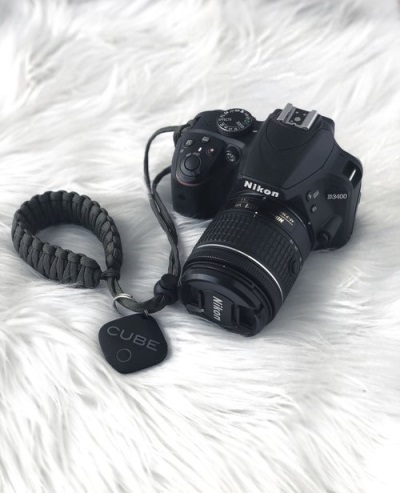 The Cube Tracker, a charm-sized blessing for your personal items, is the answer for those who tend to lose things along the way — whatever those things are and whatever way they are going. The square can be attached to wallets, passport holders, cameras, keys, files … whatever is keeping you up at night … especially while traveling when things get jostled and life gets chaotic. The Cube works with an app that can locate missing items within 100 feet, if you want them to buzz their whereabouts, or can give you the last known location of the item on a map. You can even contact another Cube owner if that person is near your lost item. The Cube Pro is the latest edition and sells for $29.99. The Nomadplug means you won’t need those clunky adaptors and plugs when traveling abroad. 5. A plug for all reasons. The five- by two-inch Nomadplug is tagged the last travel adaptor you will ever buy. And that is because it is part adaptor and part converter without the heavy and bulky brick usually needed and with prong formats that will fit any socket anywhere. It uses a powerbank allows you to stay connected and charge your devices in any country or on the go and provides with USB and USB-C functionality. The plug uses interlocking modules secured together with rare earth magnets and plug formats that allow connection in 190 countries. The powerful and fast charging powerbank accepts 110V to 240V sockets, 50Hz to 60Hz devices and allows for two USB type A and one USB type C connection that all can be used at the same time. The powerbank can be charged by using either the wall socket or USB port. Comes in five neon colors. Current pre-order prices on Indiegogo run $99.